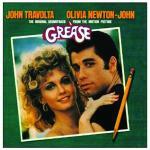 Grease is one of the most-known musicals, shot for the big screens ever. It features relatively young John Travolta and not very famous now Olivia Newton-John. More than in filming, she is engaged in singing. And even more than in career shifting, she changed visually through these years that passed since film (the year of a movie is 1978, if anyone is still unaware). This musical has become popular due to light mood of its lyrics and popularity of the culture itself that was planted by this film. Its legacy is really huge and in 2016, Grease was re-made with the whole new team of very young singers-actors. We will say not eulogizing, but depicting the real picture, if we tell that Grease song performed by John has become the cult thing for boys and Hopelessly Devoted to You performed by Olivia – for the girls. The other thing that was created to outline the protagonist line in the film is Look at Me, I'm Sandra Dee by Stockard Channing – a girl, who aged already 34 at the time of shooting Grease and now she is disappointing 72 years old, reflecting the postulate that everyone ages, even the movie stars. - least but not last – vivid change of Mrs. Newton-John’s character – from obedient ship, she turned into bright lady vamp with seducing tight leggings, which is so visible in song You're The One That I Want.